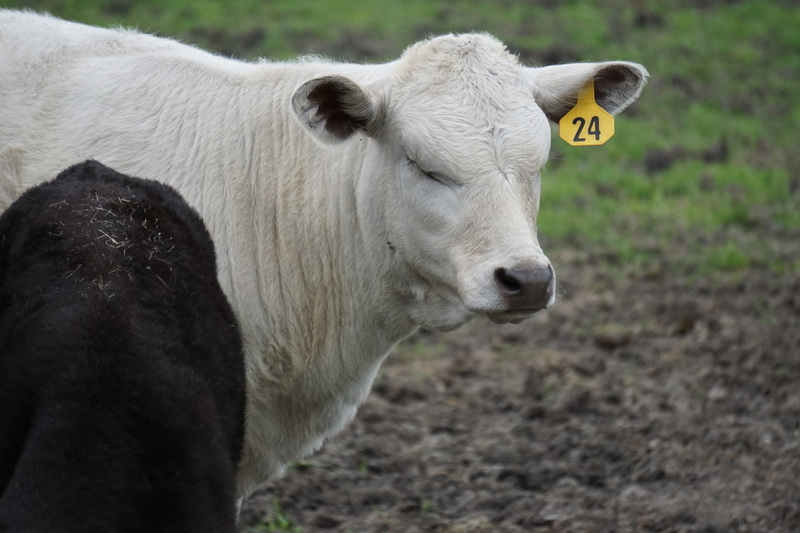 In this experiment, a Wagyu bull was crossed with Charolais cows in an effort to provide a quality, lean carcass. "The experiment involved steers produced from crossing Wagyu bulls and Charolais cows. They are part of a research goal to improve management strategies for production of high quality beef. Specifically these cattle were acquired to track the development of marbling as a function of time on feed in order to improve prediction models based on ultrasound estimates of marbling. Wagyu is a high marbling breed from Japan. The cross with Charolais considered that a high marbling but lean carcass might be the result. That in fact occurred. The steers were harvested December 29, 1999. The 17 sold at that time graded 88% Prime (15/17) and the other two were average and high Choice. They were 47 percent Yield Grade 1, and also 47 percent Yield Grade 2 while one steer was a Yield Grade 3. Back-fat averaged only .30 inch. This might very well be the best carcass results on a group of cattle in the history of grading cattle in this country." "The cattle graded more than 90 percent prime, and the men took six to the 1999 National Western Stock Show for the carcass contest, where they won 1st place with an unprecedented 100%, Prime-graded group. 'One judge said this was 'the best set of carcasses I've ever seen in my life,' Brethour said." Kansas State Researcher and Extension Animal Scientist, John Brethour, and Jim Scott, owner of Prime Line Genetics. Click here for Wagyu Beef for Sale!